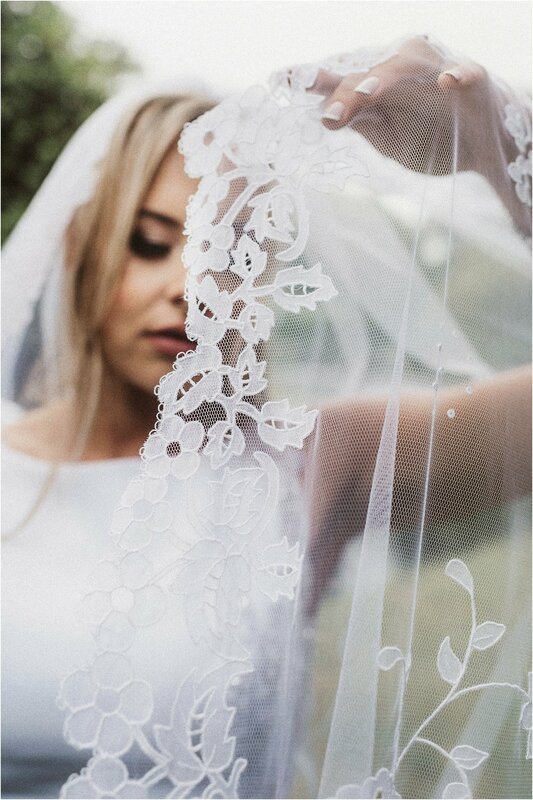 Over the years, we here at Savo Photography have had the privilege of photographing some pretty special dresses, veils, head-pieces and other fine pieces of ornamentation. Now, if you are a bride-to-be and fancy having a go at this mammoth task yourself, you might want to get started at least a year in advance. 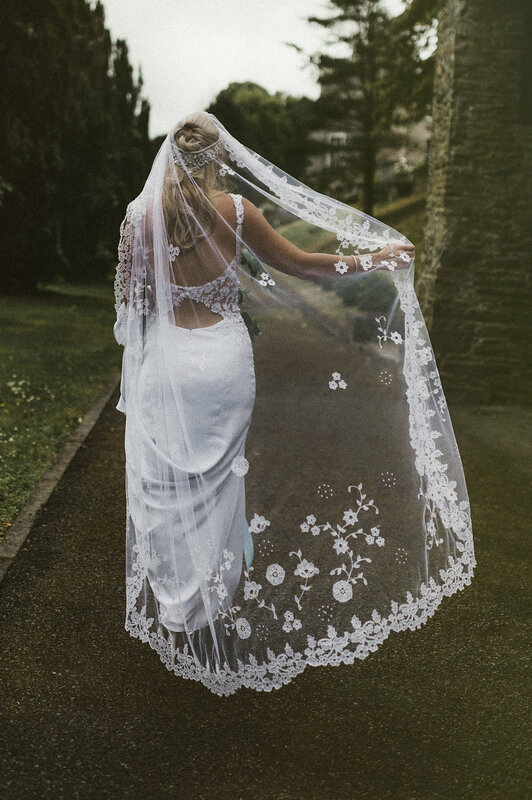 Yep, that’s how long it took Caoimhe to hand-stitch her wedding veil; around 600 hours, give or take. Once you see the stunning detail you can truly start to appreciate the hard-spent hours that Caoimhe toiled away - time very well spent indeed. Now feast your eyes upon her divine work. (A Brief History - Carrickmacross lace was introduced to Ireland around 1820 by a Mrs Grey Porter, who taught it to local women to help them earn an income. The now world-famous lace is a form that can be best described as “decorated net”. A three-layer 'sandwich' is made consisting of the pattern (at the bottom), covered with net and then fine muslin, through which the pattern can be seen. A thick outlining thread is stitched down along the lines of the pattern, sewing net and fabric together. Loops of thread known as 'twirls' are also couched along the outer edge. The excess fabric is then cut away. Some of the net is then usually decorated further with needle-run stitches or small button-holed rings known as ‘pops’).